The atheist philosopher David Hume unleashed an assault on Christianity in the 1700s that reverberates to this day. By undermining arguments based on or included references to miracles- or documents that contained them- many a person embraced his strict empiricism. Famously rising to the challenge, the Rev. Richard Whately showed that employing the same kind of ’empirical’ scrutiny to other historical claims would result in absurdities. Namely, we could know little, if anything, about the famous Napoleon Bonaparte (Buonaparte). Indeed, one might even conclude he hadn’t existed at all! 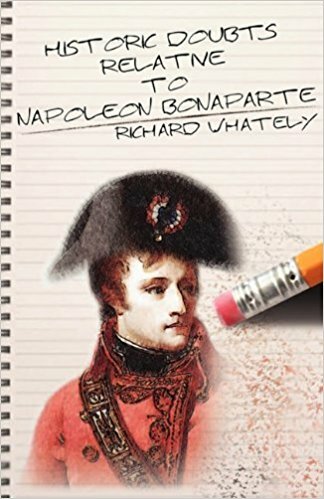 There was only one problem: Napoleon had carried out his great feats within the lifetime of Whately’s readers and his existence, and those feats, were common knowledge! Something had to give, either Hume’s strict empiricism or knowledge itself (ie, epistemology). Whately is convinced that his playful analysis of Hume’s reasoning would have been seen by Hume himself to show the great joke his reasoning was. Unfortunately, Hume died in 1776, and it is up to modern readers to decide for themselves if Whately was correct.